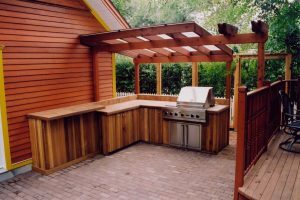 Entry level outdoor kitchen with pergola - Curb Design Inc. 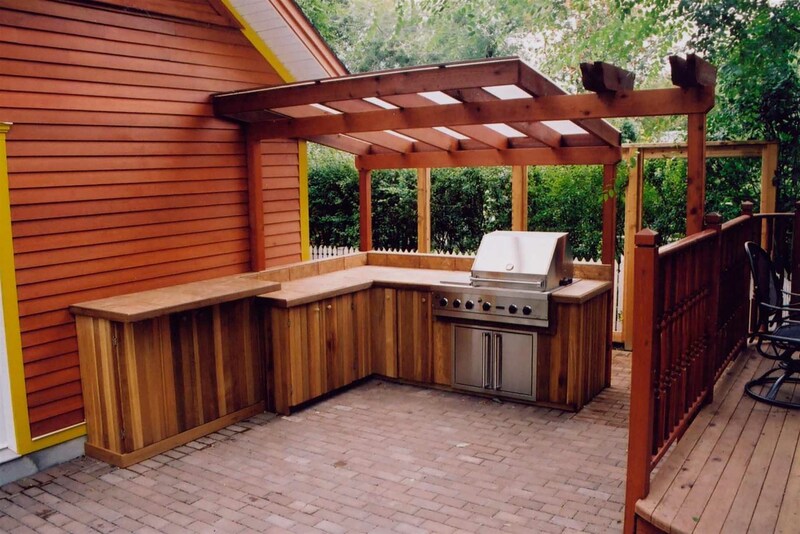 Entry level outdoor kitchen with pergola. Dark cedar wood and stone patio.